Adding to the company’s Floorboard Extra range, the new XPS insulation products are available in a thickness of 60, 125 and 150mm. Speaking about the launch, Stuart Bell, managing director at Polyfoam XPS said: “We work closely with our customers to understand their needs to ensure we can continue to offer the right product mix. 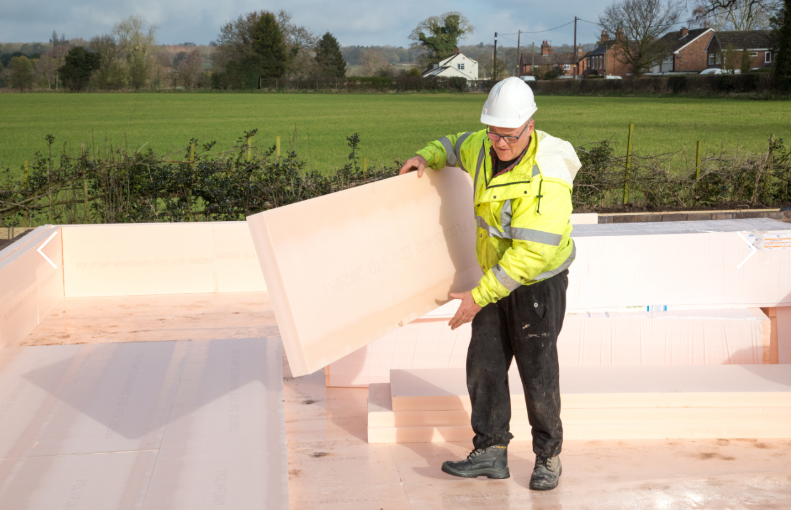 “We recognised that there was a growing demand for different insulation thicknesses for new floor construction, so have responded by developing three new products aligned to specific customer requests. The new products mean that Polyfoam Floorboard Extra is available in nine different thicknesses ranging from 25 – 150mm. Suitable for almost any floor construction in domestic or industrial properties, Polyfoam Floorboard Extra is highly resistant to compression and water absorption and offers thermal conductivity of 0.033 W/mK. All products in the range achieve a BRE Certified Green Guide rating of A+, have product-specific Type III Environmental Product Declarations and are 100% recyclable. Polyfoam XPS carries out U-value calculations free of charge for building designers involved in the construction of ground floors.